I read a lot of books. 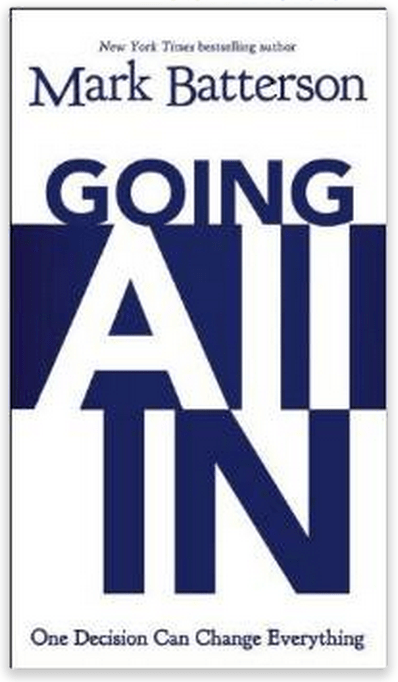 I just finished ‘All In’ by Mark Batterson. Mark Batterson serves as the lead pastor of National Community Church in Washington, D.C. Recognized as “one of America’s 25 most innovative churches,” NCC is one church with seven locations. Mark’s blog (www.markbatterson.com) and webcast (www.theaterchurch.com) also reach a virtual congregation around the world. Mark is the author of several bestselling books, including New York Times bestsellers The Circle Maker andIn a Pit with a Lion on a Snowy Day.